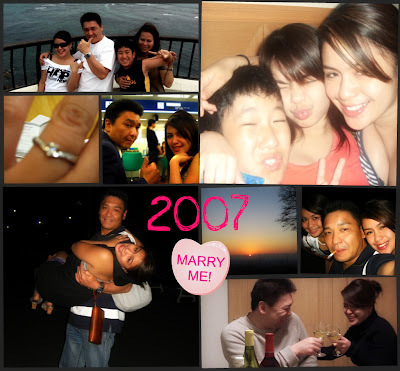 2005 is the year where I had the biggest changes in my life. 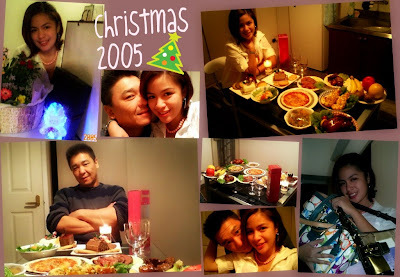 First time I spent Christmas in cold winter of Japan with my "The One" without my loveones in the Philippines. It was a bit sad but Honey just knew how to fill out the loneliness in me. He planned a surprise dinner at his pad. We took our time slowly..
enjoyed being single but attached. We were just having fun even just the two of us. Dining out with my family, family trips et al. The 22 hours of Labor and giving a natural birth without epidural was all worth it! truly amazing moments :D thanks for sharing your life story with us..
wow! you gave birth without Epidural? way to go!!!! Awwww!!!!! Hay sarap tignan mga old pics ano? love the way you shared your story! good job! and i love the pics! teka i forgot... what 22 hours... oh my!!!! lucky me, mine was just 15 minutes... like you no epidural too! OMG, Yami -- the teary eyed me almost dropped a tear. Your post is so touching. I would like to invite you on Monday as I launch my new photo blog with a new meme. You were asking about my pregnancy - I had a miscarriage. YOu can read what happened here. I am moving on and hoping the next time is the time for us. Wow, you and your hubby are so in love with each other ha. I love the photo when he kissed your tummy. So sweet! Ah yes, they are all wonderful photos that remind you of the memorable moments in your life. The photos tell them all including the emotions and feelings involved. Probably this is the truism of the saying that a picture paints a thousand words. It's nice to share your happy and joyous moments in your photos. Thanks for sharing them with us. Thanks for the post. God bless you always. Oh my 22 hours is very long gosh! But its worth it! I love the photo where your husband is kissing your tummy hehehe..
wow... looking at your pictures and it seems your partnership is a match made in heaven! congrats and may God continually bless you on your beautiful relationships! Hi guys! I know some might find this offending (a bit of a spam, again) but this is the only way I know to get back at you as quickly as possible. First, I would like to thank all of you for patronizing utoy(adgitizing made easy). Utoy is very happy with your warm welcome. He is glad that you find time playing with him (using the tool). In the near future we will make a post about Utoy's playmates to show our appreciation to all of you. Click one adgitize ad on each site. Clicked ads will open in another tab. That gives you 10 tabs. Close all then click an Utoy box again. Please take note that you have to log in to your aditize account before playing with utoy..
u are living a charmed life.. God bless u more kasi baet baet ka eh!! so sweet bams! i love how you chronicled the important events! ang haba naman ng labor mo!!!! whaaa!!! very inspiring! lovely couple with cute baby. I saw your blog from Kit's link. you are so pretty bambie;) And those pictures so sweet? 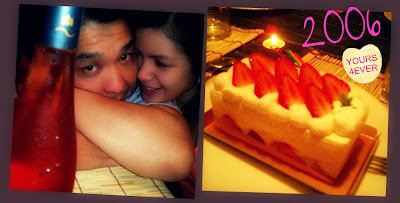 there's really love on the air.. i love that pictur your husband kiss your buntis tummy;) Happy MM! great pics also comes with great stories. i salute you bearing the hard "labor" (literally) and giving birth naturally. click to see my entry thanks! great photos and great entry. amazing. salamat sa pagshare ng photos ang ganda . momma bams, ka-sweet naman ninyo ni hubby...kakakilig!! Im late here in your Mommy moments. I love your MM very detailed and all the pictures are sure to be treasured. Wow 22 hrs in labor w/o eoidural that was so intense, I dont think I can handle without epidural. you are tough. Thanks for the visit in my baby blog ill link you up ang grab your badge after lunch. Btw,about the sponsorship nga pala,how can i send it to you?Just let me know.Jya! How's your silver week went on nga pala? 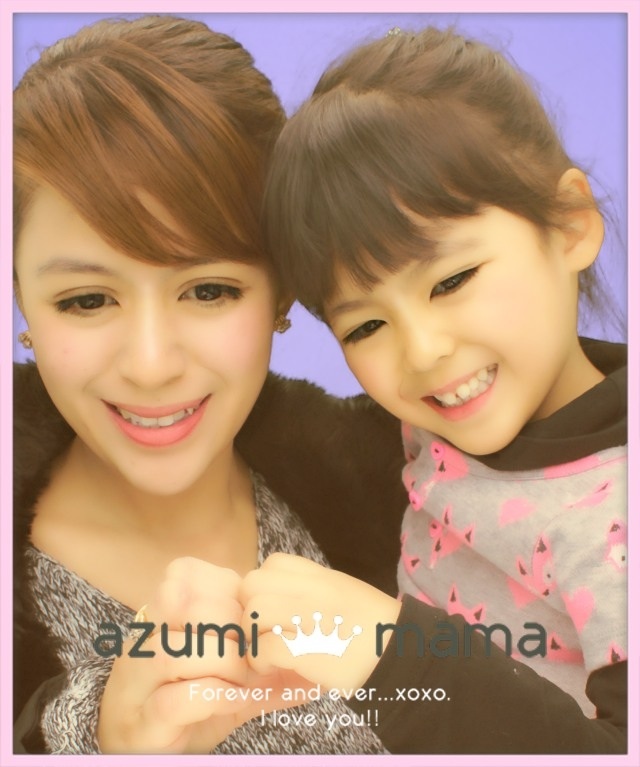 Kami just went out to watch movie,then went to ohaka.Bukas shigoto nanaman.